Last Chance to Save Mom & Pop businesses on the road to extinction. Last Wednesday, on the steps of City Hall, independent-minded candidates running for office called for an Emergency Freeze of Evictions of All Commercial tenants. Lead by Mayoral candidate Sal Albanese, Public Advocate candidate David Eisenbach, and six council candidates, they claimed City Hall was not doing enough to pass legislation to protect small businesses from the sky-high rent increases forcing them to close in record numbers. Small Business Congress spokesperson Steven Barrison went further and accused the city’s leadership--Mayor de Blasio, Public Advocate James and Speaker Mark-Viverito--of joining big real estate in “rigging the system” to stop any legislation which gave rights to commercial owners to negotiate fair lease terms. Barrison stated: “the crisis facing our small businesses has grown worse under these self proclaimed progressive liberals whose policy of 'doing nothing' has not saved a single business or job. 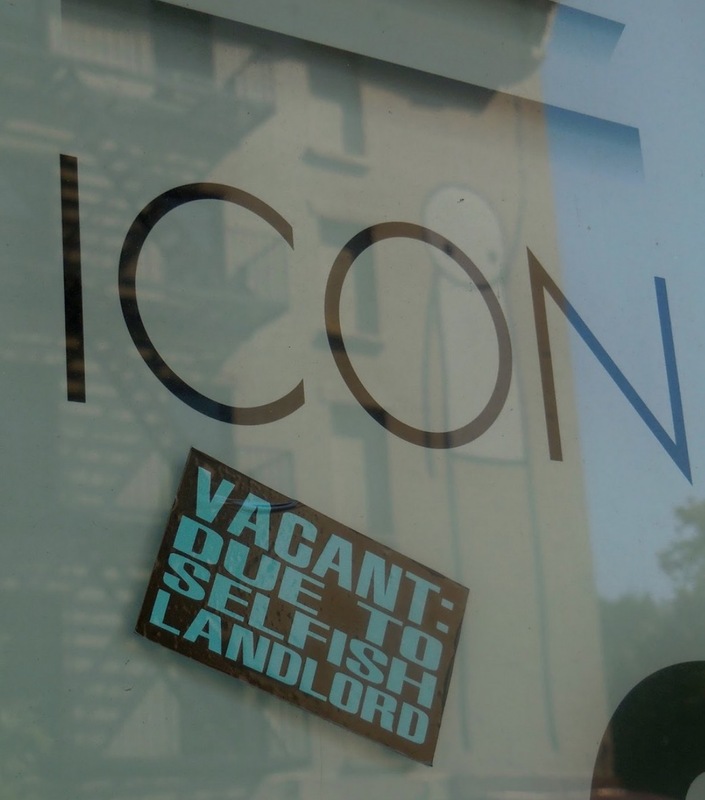 In the long debate on passing legislation to regulate the lease renewal process, only once in 30 years has a public hearing been denied, under the de Blasio and Mark-Viverito administration." To substantiate his claim the crisis is worsening, he gave NYC Court Warrants to Evict Commercial Tenants during Mayor de Blasio’s first three years compared to the last years of Mayor Bloomberg. Every day in NYC since the election of self-proclaimed Progressives, 16 businesses are issued court warrants to vacate, with an estimated 40 businesses closed each day. Bronx Council candidate John Doyle explained how the crisis was no longer a high-rent neighborhood in Manhattan but has spread to even low-income neighborhoods in every borough. He proved his point with the court evictions for Bronx businesses’ increase in 2015 by 30%, leading all the boroughs. The advocates for small business wanted the public to know the crisis was not just the exorbitant rent increases that are driving businesses to close or destroying their futures. Manhattan Council candidate Christopher Marte, whose father once ran a Bodega in the East Village, stated the growing trend of extorting cash from mostly immigrant owners whose lease expired and they had no rights to protect themselves. Bronx council candidate Michael Beltzer spoke about the shameful short term leases, sometimes month to month given to mostly immigrant owners, as landlords waited for deep pocket renters or speculators to buy their property. Brooklyn candidate Deidre Olivera highlighted the loss of jobs and lower wages that business owners were forced to pay as a result of paying both sky high rents and the landlord’s growing property taxes. The crisis to survive was not just limited to small businesses. Manhattan candidate Mel Mymore spoke of the many professional businesses who faced this crisis but were being discriminated against in all of the City Hall proposals being discussed to address high rents. None of these proposals: zoning, lease extensions to give time to move, and tax incentives to landlords gave any protection to professional small business owners. Only the Small Business Jobs Survival Act gave rights to all commercial tenants. Rights to renewal leases for 10 years and rights to negotiate fair lease terms. As this crisis grows worse and spreads to each borough, why would once proud sponsors of the Jobs Survival Act like Mayor de Blasio, Public Advocate James, and Speaker Mark-Viverito now allow their offices to remain silent and deny a hearing on the Jobs Survival bill or any legislation giving rights to the business owners? The Small Business Congress endorsed all these independent minded candidates as the ONLY HOPE to stand up to big real estate and the corrupt political machine to end this crisis and save our businesses. 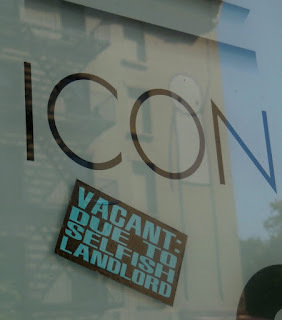 Something needs to be done to offset greedy landlords before we're left with nothing but boutique eateries and banks. The last straw for me occurred with the closing of Caesar's Palace pizzeria. 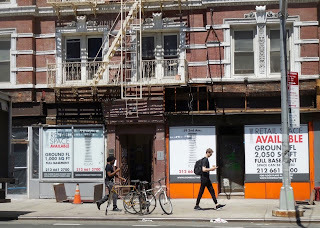 I didn't care much for their pizza, but they made an old school eggplant Parm hero that could feed four people, which is perfect if you're a gavone and hungry, like me today as I pressed my face up against the shuttered storefront. This is depressing - I can't think of a single place in manhattan within reasonable distance that knows how to make a damn hero anymore. Happy fourth, yeah. Tonight on WPIX 11 News there was a sad report on another small business closure, Caesar's Palace Pizza, on 1st Ave. on the Upper East Side. There was a protest on behalf of Caesar's, and a call for the Small Business Jobs Protection Act. The report mentioned how a wave of closures was transforming whole stretches of 1st Avenue, like many other streets in NYC, into shuttered and empty storefronts. 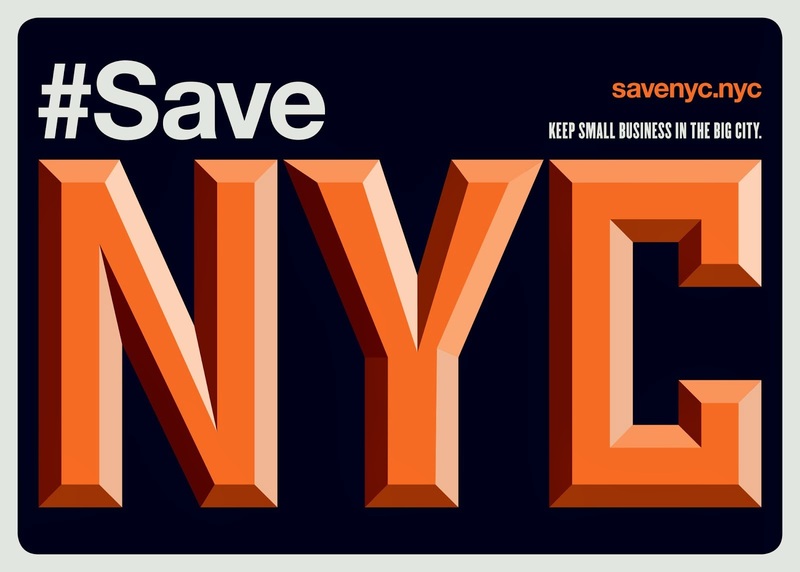 The local City Councilman, Ben Kallos, bemoaned what was happening, and I got the sense that he would support measures like you outline on the #SaveNYC page to sustain small businesses. But it seems like real estate still has the upper hand.